X-Men are set to remerge triumphant in the coming "ResurrXion"
A new age is dawning over at Marvel Comics as the publisher seems to be reinvigorating the X-Men franchise with RessurrXion. Surely this is a good sign, with seemingly eased tension on the filmic side of things with 20th Century Fox from character exchanges and collabs on projects like Legion. Seeing the general consensus was not introduce any new narratives and characters to X-Men which would ultimately allow Fox to use in their films. In the wake of war with the Inhumans, the X-Men are regrouping for a new era of action and excitement in this new bold chapter in the saga of Marvel’s mutant heroes. 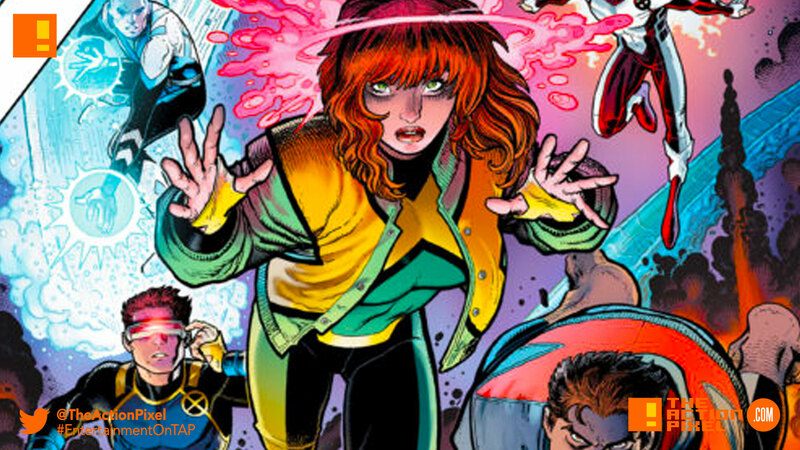 A bright new tomorrow is coming for the Children of the Atom as the X-Men race full speed into ResurrXion! Today, Marvel is excited to release its first trailer timed with the upcoming release of all-new X-titles – X-MEN GOLD, X-MEN BLUE, GENERATION X, WEAPON X, ICEMAN, JEAN GREY, CABLE, OLD MAN LOGAN, ALL-NEW WOLVERINE and ASTONISHING X-MEN! Launching this spring in your local comic shop, these new, ongoing series bring fans a new beginning for these merry mutants – one that is sure to please fans old and new! You asked for it, you got it! The ResurrXion of the X-Men is here! In the wake of war with the Inhumans, the X-Men regroup for a new era of action and excitement! Experience the next bold chapter in the saga of Marvel’s mutant heroes and it all begins this spring in your local comic book shop.